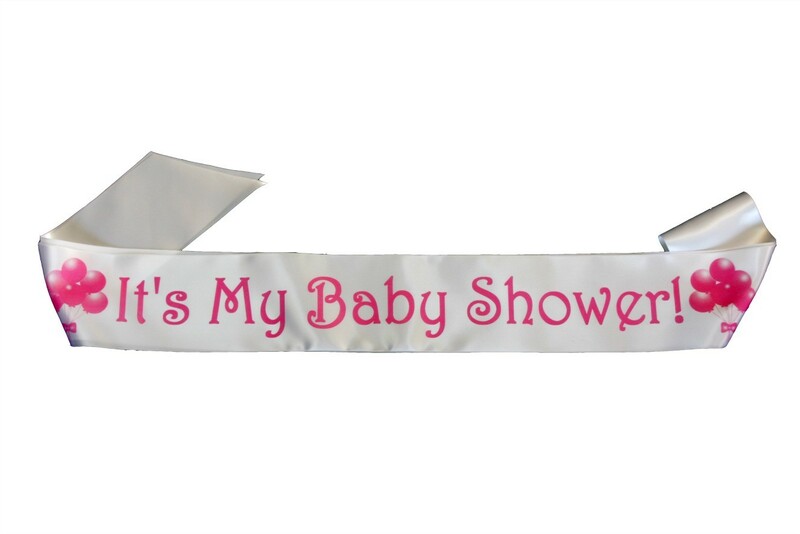 A lovely crisp white satin sash for your guest of honour to wear to shout about the fact that it is her baby shower. Sashes are approximately 2 metres long and supplied with adhesive velcro fastners so you can fasten the sash in the position you want, whatever your bump size. This white sash can be printed with hot pink (as in the photo), blue or purple print depending on your baby shower theme and preference. As this is for a celebration, a bunch of balloons image is printed onto the sash too.